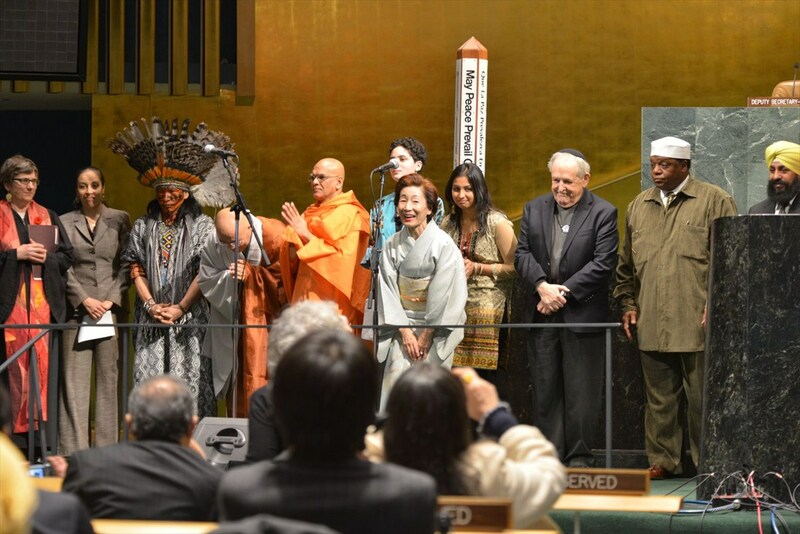 Multi-religious Partnership for Sustainable Development. 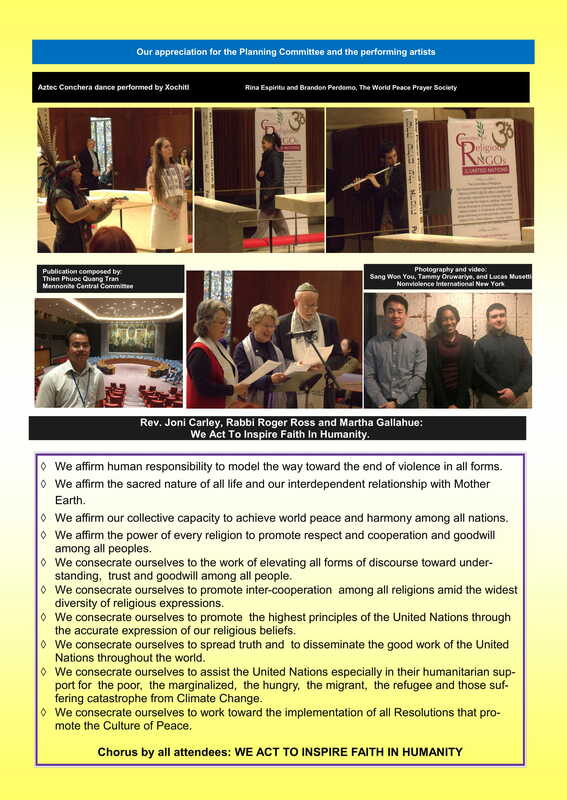 See RNGO photo gallery HERE. 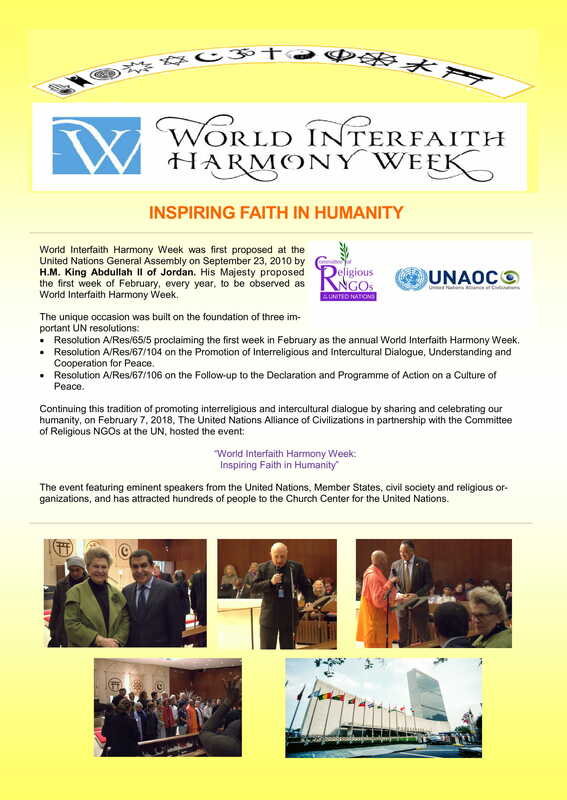 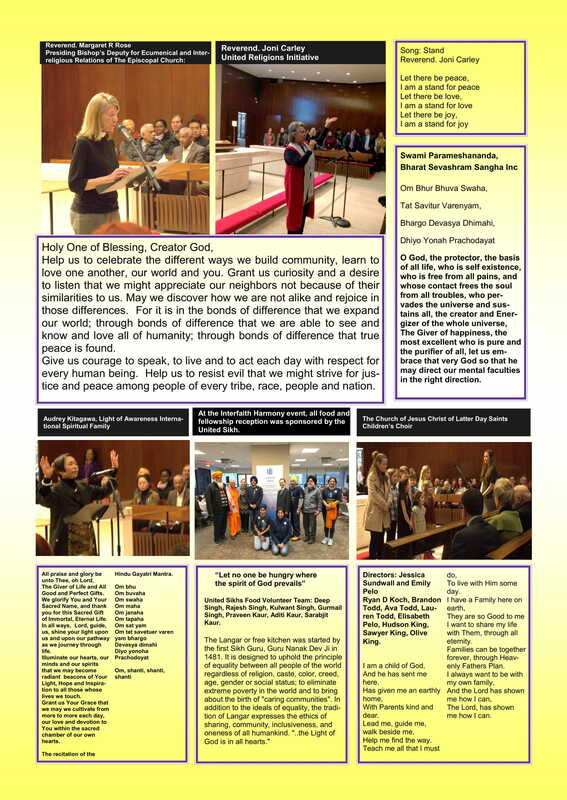 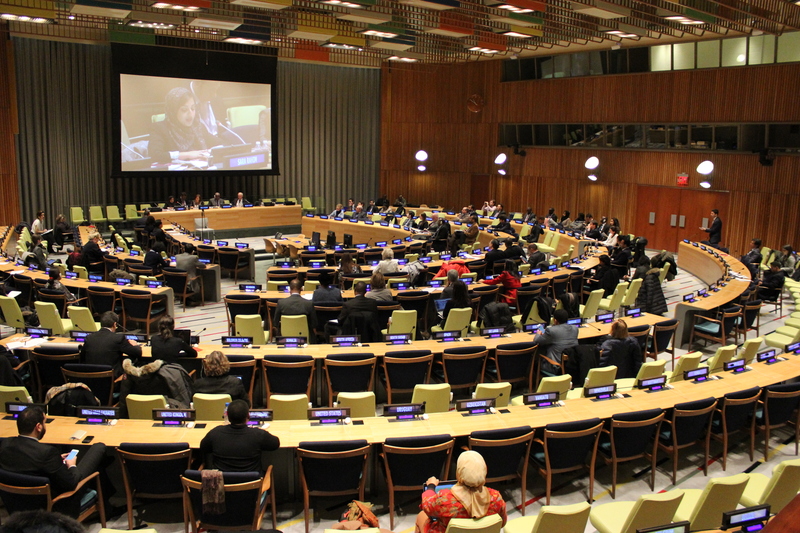 World Interfaith Harmony Week was proclaimed by UN General Assembly Resolution A/65/PV.34. 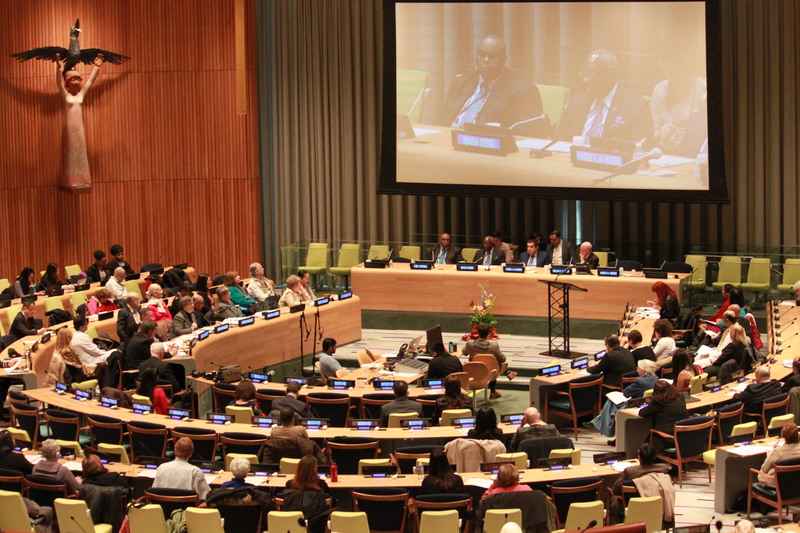 It was proposed in 2010 by HM King Abdullah II and HRH Prince Ghazi bin Muhammad of the Hashemite Kingdom of Jordan. 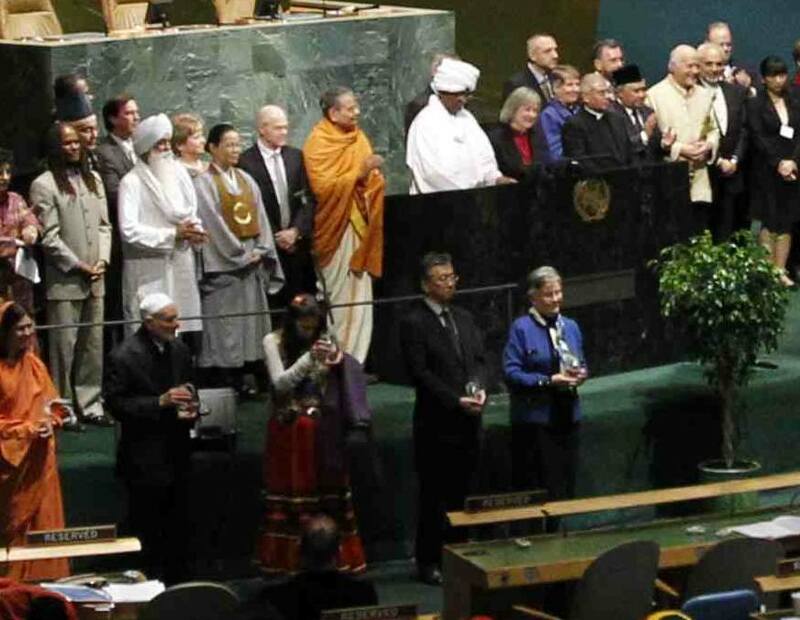 World Interfaith Harmony Week will fall on the first week of February of every year and aims to promote harmony among all people regardless of their faith. 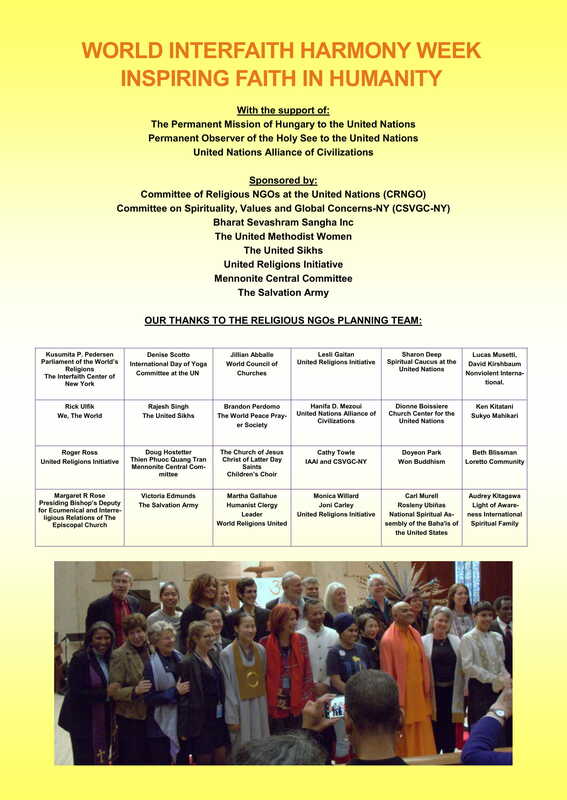 The Committee of Religious NGOs at the United Nations welcomes this initiative and commends its members to consider individual organizational endorsement. 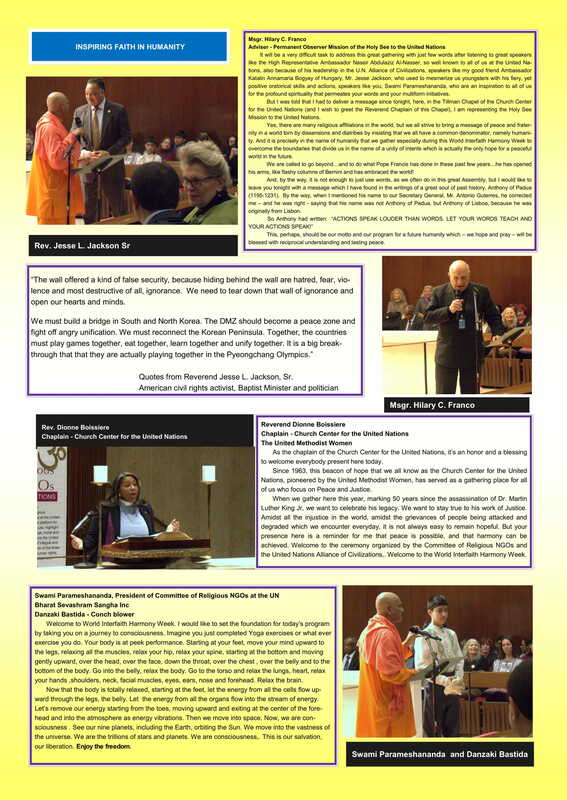 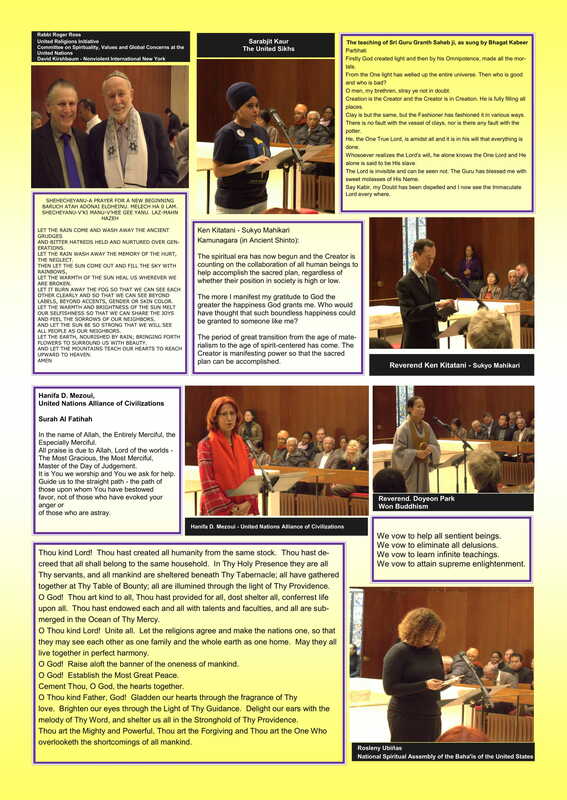 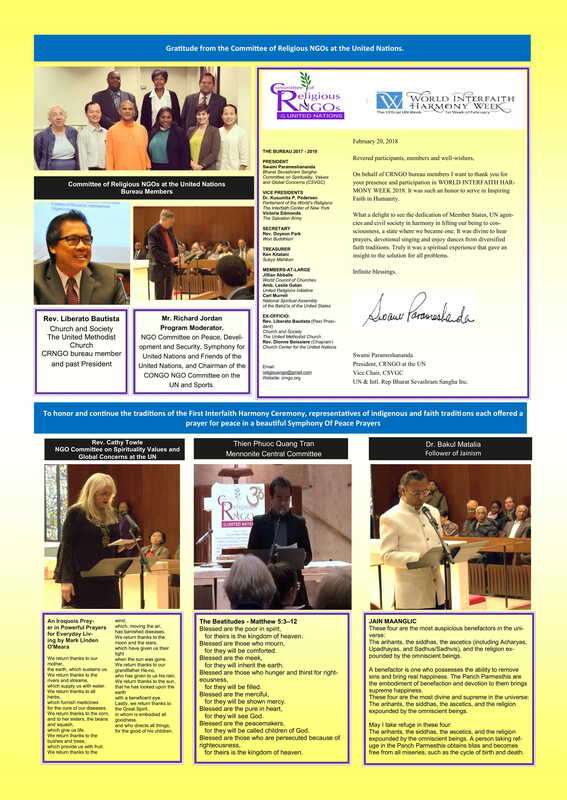 Information, along with registration of support and events, at www.worldinterfaithharmonyweek.com. 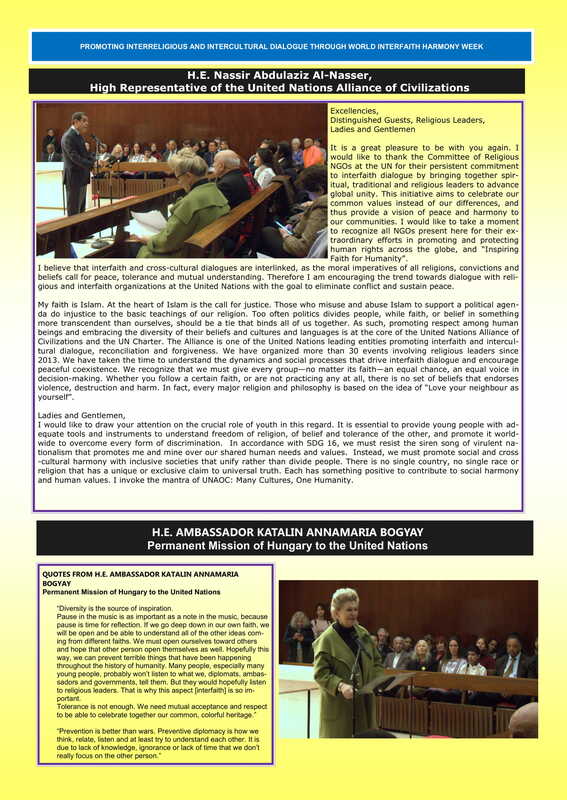 In 2011, the RNGOs co-hosted an Interfaith Breakfast in cooperation with the NGO Section of the UN Department of Public Information on February 3, 2011.